Singers, poets and emcees: Come share your artistry with community. Hosted by MC CoCo Blossom with DJ Lady Char. Come ready to perform, support friends or just enjoy the show. 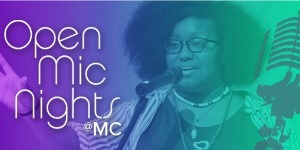 Open Mic — 6-9 p.m.
Open Mic Nights@MC are held quarterly for UC Davis students and community youth.